I love it when Stampin’ Up! 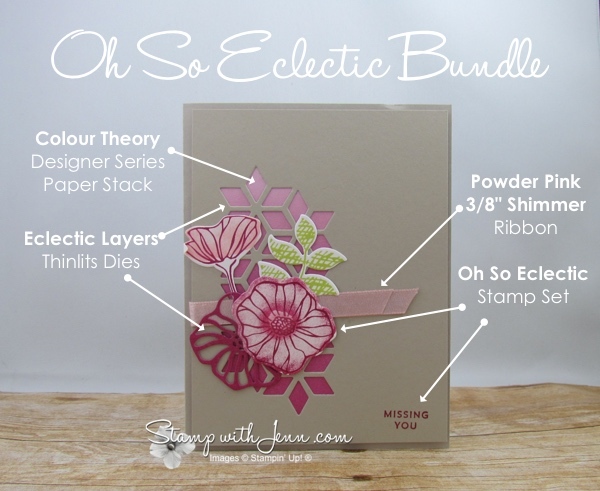 make bundles, like the Oh So Eclectic Bundle, that make it easy to design beautiful cards. This bundle has a mixture of flower types, sayings, leaves, and background elements. I love the die cut out piece in the background of this card. 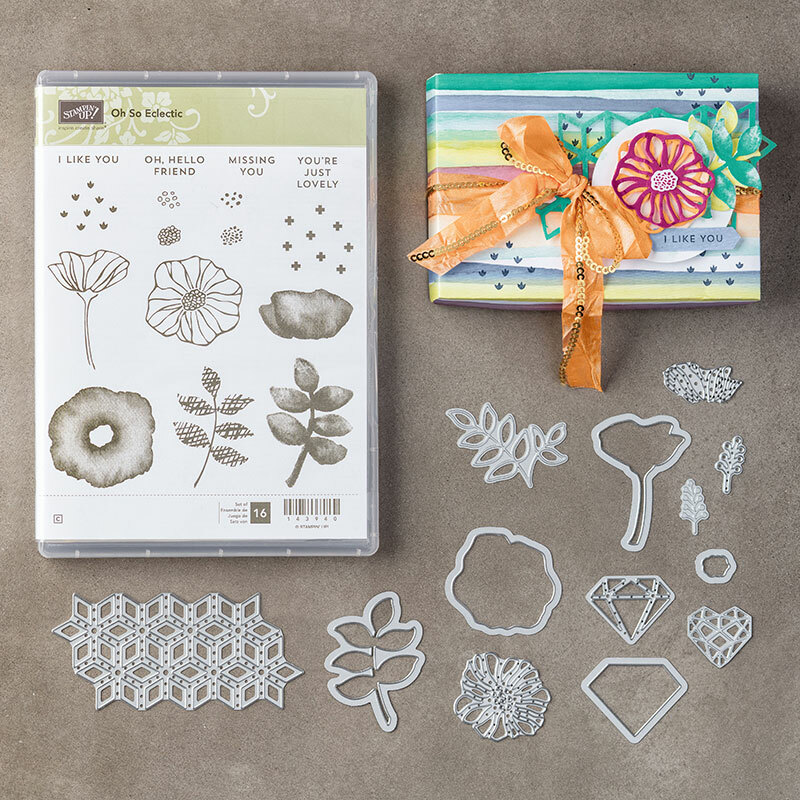 And the flowers and the leaves can be stamped and cut out with the matching dies. I got this card from fellow demonstrator, Ginny Duncan, from British Columbia. Love the colour scheme on this card with the pinks and the purples. The cut out in the background has a peek of the Berry Burst Colour Theory paper peeking thru. This piece of Designer Series Paper goes from light to dark and that shows thru on the card. Berry Burst is one of the new ‘In-Colors’ and looks great along with one of the other ‘In-Colors’, Powder Pink. You can get this bundle as part of my Birthday party here. You can see all the supplies used on this card below. 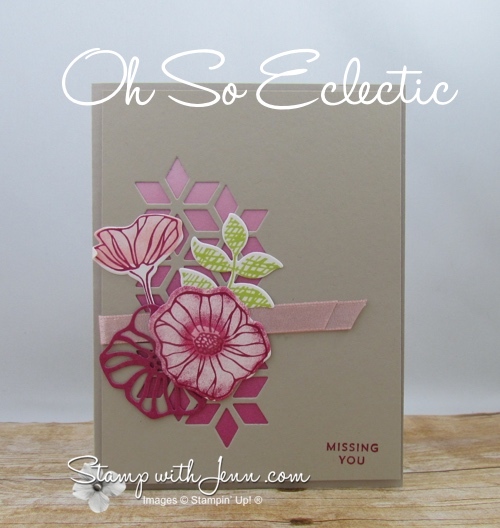 I’ll have another idea using the fabulous Oh So Eclectic bundle later this week.